Suited towards the experienced rider. 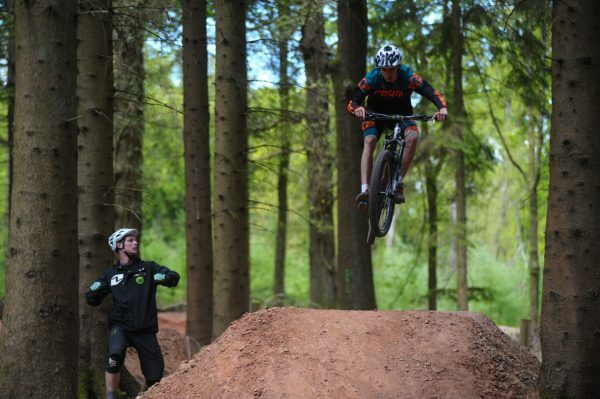 We have teamed up with FOD mtb in offering a number of dedicated ‘Coaching & Guiding Days here in the fabulous Forest of Dean. So come ride with us taking in miles of classic singletrack and some cracking off piste descents. If that’s not enough; how about some skills coaching as well to improve those skills. 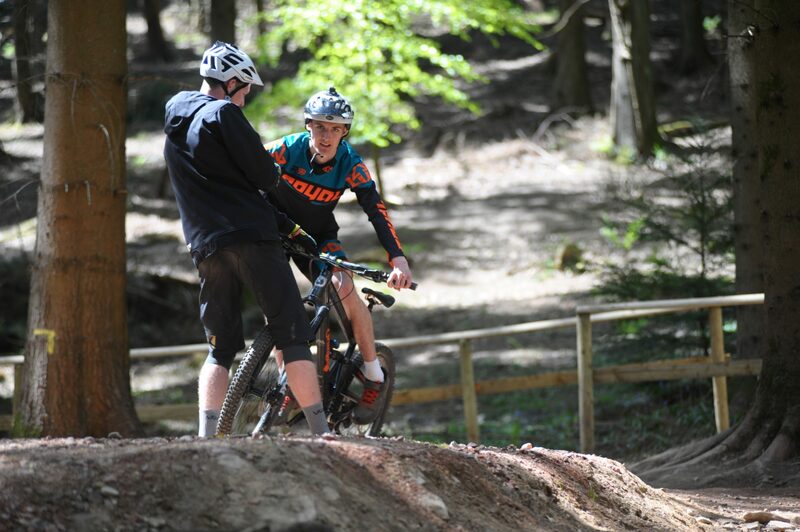 Coaching will be on advanced trails skills – focusing on steeper descending, small jumps and drops and really railing the turns! 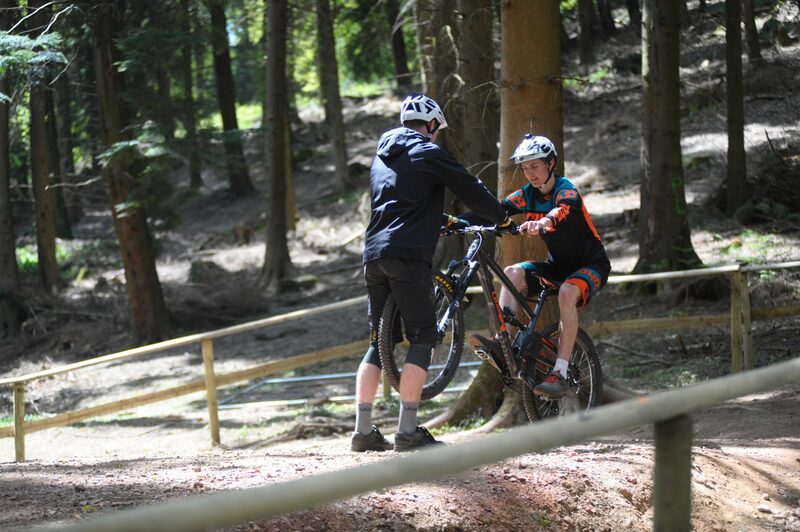 Coaching: Advanced trails skills focusing on steeper descending, small jumps and drops and really railing turns. 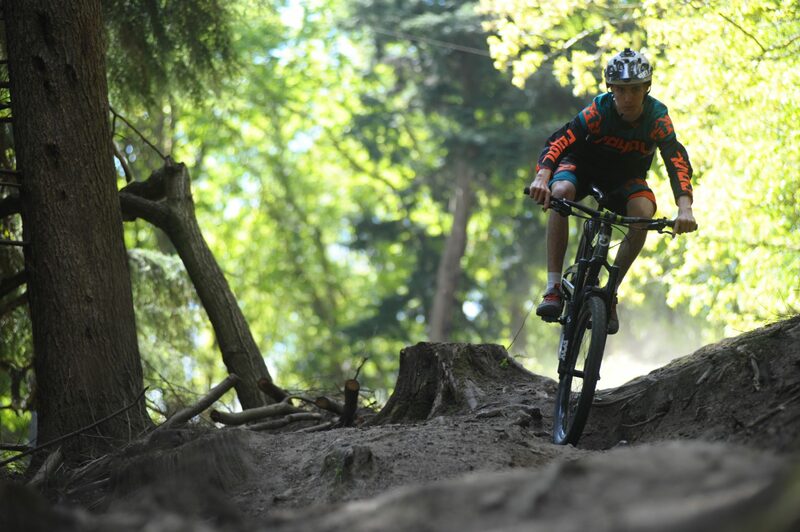 Guided Ride: Classic FoD singletrack with some off piste descents. Time :9.30-12.30pm and 1.30-4.30pm with an hour for lunch. £79 per person inc. lunch and free tea and coffee all day and cake at the end of the day! I can’t recommend this highly enough. I learned loads from Vivian and Paul and was much more confident on the steep stuff by the end of the day. They give lots of advice and tips and offer options to gently stretch your comfort zone safely. Also it was great to meet and ride with a great bunch of people. If you want to improve your skills, do this one! Cannot recommend this course highly enough. I’m someone who has been mountain biking for years but always been nervous to ride anything too technical. I found the course really helpful in boosting my confidence and picking up new skills. Both Viv and Paul were great at coaching and making you feel comfortable with sections before tackling them. I didn’t feel pressured into doing anything I didn’t feel I could handle. In the end I was riding down stuff I never thought I’d be able to. An added bonus is that you get to ride sections of the forest that I didn’t know existed. Overall a great day! Recommended to anyone who wants to boost confidence or even really experienced riders who want to hone their skills! Thanks Ben – glad you enjoyed it! I did the steep & natural coaching day yest 12/03/2017 it was a birthday gift from my girlfriend. We were split into two groups of 6 my morning session was spent with our coach Viv learning valuable skills to improve your jumps,drops and steep down hill cornering… Viv is a very advanced skilled rider and i found his coaching to be very useful and delivered in a fun relaxed manner with no pressure to do anything your not confident with. I must at this point mention Lunch we had a big table in a private room of the cafe just for the people on our course and the food was really tasty and much needed after the morning session. Afternoon single track off piste ride with our other coach ‘ Paul ‘ this was fantastic Paul knows the forest of dean like the back of his hand. We covered approx 18k of single track i have never seen & once again safety on certain parts was always Paul’s first concern, he obviously watches and notes everyone’s riding ability and if he thinks you can ride it he will let you and if not he will let you know. Paul & Viv made the day special both good fun really relaxed guys but also very professional in what they do. I would recommend this day i am still buzzing !! If i could just mention one small negative – I had towel and a change of clothes for the showers after so as i did not have to drive home a sweaty/muddy mess but unfortunately when we arrived back at pedal centre they had closed the showers and changing rooms – i soon got over this disappointment when i was offered a ice cold cider and a huge wedge of cake to finish a great day off….. Thanks for the feedback Richard, and will make sure the showers are open later next time! Had a great time on the steep and natural course. Paul was a great guide revealing previously unknown spots in the forest and Vyv gave me some good tips for improving trail riding skills which I will try to put into practice.Would certainly recommend this course as a fun and exhilarating way to improve bike skills. Thanks Ian – glad you had a great day! June 4th 2017 course, and as per reviews from previous courses I’d have to recommend it. Small groups this time so three in my group and four in the other meant some quality coaching time from Matt who covered manuals and drops, then jumps followed by cornering on the loamy tracks off the main trails. Great coaching which will give me plenty to work on when next out. The Guided ride with Paul was great, I know this area of the forest very well, but normally riding alone I tend to stick to the more populated trails, more chance someone will find me if I’m head down and legs up somewhere! So the ride with Paul was good as it meant I could find some of the alternatives routes I normally don’t get to see. Some on the spot downhill coaching also helped and again gave me something to take away and work on. One thing if you do this course, it’s worth getting there fit, I spent the last two or three weeks hitting the trails hard just to get miles under the belt and improve my fitness. It payed dividends and helped make the day a really enjoyable one. Just think, all that jump, drop and cornering coaching involves sessioning a hill, so lots of up before the down. Overall, an excellent course, learnt lots in good company, definitely recommend. Overall the course was brilliantly delivered and a fantastic day out. Personally I elected to do the skills in the morning and the guided rode in the afternoon which work brilliantly as I could apply what I’d learnt in the morning session to the ride out and found so many trails I had no idea existed! The Group sizes were manageable, which from a background working in Rock climbing instruction i known is no easy feat. I bought the day for my Dad brother and I and all three of us would highly recommend this to anyone as both Viv and Paul did an outstanding job of tailoring the course to peoples abilities. Thanks!